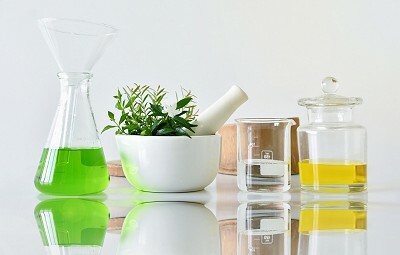 The United Register of Herbal Practitioners (URHP) is a leading international register of professional herbal practitioners. We pride ourselves on being an eclectic and friendly organisation with members from several different herbal traditions: we thrive on embracing diversity in the herbal world. A URHP Herbal Practitioner may be practising in Ayurvedic, Western Traditional, Unani Tibb, Tibetan or Traditional Chinese Medicine: they each have their individual strengths and what binds them, and the URHP, together is the recognition of the energetics of herbal medicine. This understanding of energetics is based on recognition of the Vital Force within each living object, be it a person or a herb and using this knowledge to provide a completely individual herbal prescription. What makes the URHP special? URHP members utilise the modern, scientific understanding of herbs, as well as drawing on the vast knowledge of traditional herbal usage, used worldwide for thousands of years. This combination provides a client with a unique and individual approach that uses the positive aspects of both ancient herbal wisdom and modern knowledge and research. Many of our members practice other therapeutic modalities alongside herbal medicine, including Naturopathy, Acupuncture, Reflexology, Reiki and Nutrition, to name a few. Individual practitioners will be able to give you more details of exactly how they practice. Our herbal practitioners have trained extensively in order to meet the high standards the URHP requires for membership. We accept qualifications that are approved by the European Herbal and Traditional Medicine Practitioners Association and are in line with the Regulatory Working Group on Herbal Medicine as a minimum standard. All members are fully insured and adhere to our strict code of conduct and ethics. To train in Herbal Medicine will take a student between three and five years, and courses will include anatomy, physiology, pathology, health psychology, diagnostic skills and dispensing, as well, of course as learning the art of herbal medicine. Students must then complete extensive hours in student clinics and further undergo supervised practice and/or mentoring schemes. For the purpose of insurance only, The Unified Register of Herbal Practitioners is an Introducer Appointed Representative of Balens Limited, Bridge House, Portland Road, Malvern, Worcs., WR14 2TA, UK, who are authorised and regulated by the Financial Conduct Authority.